Thank you all (especially for the recent followers in 2015, who I haven’t had a chance to thank yet!) I have just created the above collage version of a poem of mine from back in February to share with a community, which I am part of, who are meeting in person soon. This photo collage version of my poetry is BRAND NEW for me. Thanks for the help in getting it posted directly on the blog, Adam! 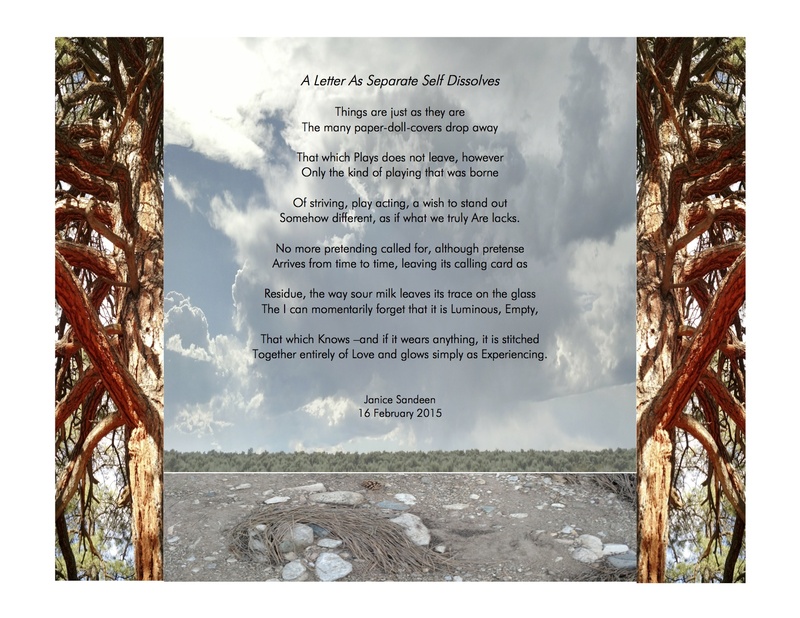 This entry was posted in nature, Not Two, photography, poetry and tagged dissolution, photo collage, poem, poetry, separate self on June 20, 2015 by janicesandeen.